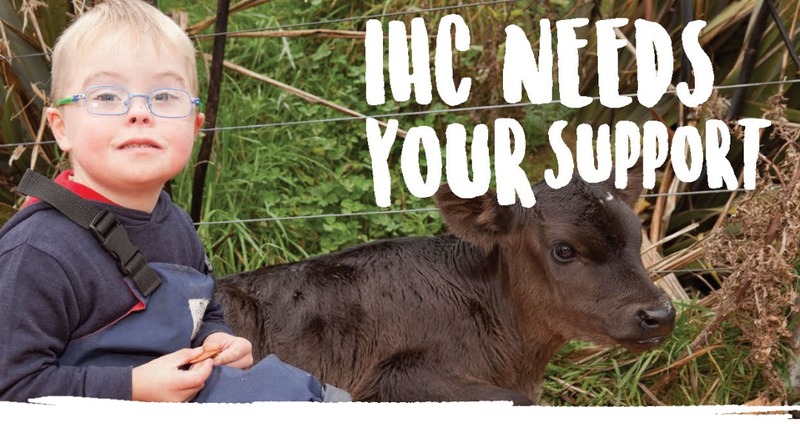 It is so encouraging to thank you for your support of the IHC Calf & Rural Scheme. You will receive a confirmation email with the form and your details attached. This is such a crucial year for us, and the changes we have had to implement because of the M. bovis disease. We are so very grateful for your support and that of other farmers around New Zealand. Together you are having a huge and positive impact on the lives and futures of people with an intellectual disability in your community and other rural communities around New Zealand. Step 1: Register your calf with IHC here or alternatively phone 0800 442 886. Step 2: Apply the pink IHC ear tag to a calf that you commit to rearing alongside your replacement heifers, or dairy beef. Step 3: Send the calf as part of your normal sale of the surplus calves to the sale yard and ensure you record on the ASD form “One for IHC”. Step 4: The calf will be sold and the sale of that particular tagged calf will be donated to IHC from any sale yard in New Zealand.